It is no use having bright and white teeth if they are crooked or abnormally arranged. Professional orthodontic treatment can help you have your teeth positioned properly. Orthodontics (restoring proper alignment of teeth in the dental arch) is one of the oldest branches of dentistry. It deals with diagnosing, treating and preventing the abnormal shape and position of teeth, the alveolar socket and the jaws. Prevention aims at ensuring proper development of your dentition by eliminating potential obstacles in order to maintain normal (chewing) function and aesthetics. Orthodontic treatments aim at correcting abnormalities. Misaligned teeth can make even the most beautiful face ugly. Patients usually seek orthodontic treatment for aesthetic reasons, but establishing or restoring normal function is just as important. Orthodontic abnormalities are closely related to other problems in the mouth, such as decay or periodontal disease. Crowded teeth are prone to tooth decay, because they cannot be cleaned properly. Cavities can be filled, but new decayed areas will develop around the fillings. Crowding can also lead to mobility of the teeth. If the position of the teeth is abnormal, the biting pressure is not parallel with the vertical axis of the teeth, and it can cause gum inflammation, formation of pockets around the teeth, bone loss and mobility of the teeth. Misaligned teeth can even lead to psychological diseases. Patients with improperly positioned teeth can have poor self-esteem, which can turn into a personality disorder. At what age is orthodontic treatment recommended and how long does it last? It is best to start orthodontic treatment while the jaw bones are still developing, since abnormalities of the teeth and the jaw bones are usually caused by improper development. Bones have lifelong capability to restructure and thanks to modern methods orthodontic treatment can be very effective in adults, too. However, treatment will last longer, because gentle force is applied to guide the teeth. All in all, orthodontic treatment in adults can replace treatment that was not performed in the patient’s childhood. Orthodontic treatment aims at restructuring of the bone, which may take years. Shorter time is needed if the problem is detected in childhood and the treatment is started immediately. The length of treatment can also depend on the child’s general condition: ill or less developed children may respond to the treatment differently from healthy children. 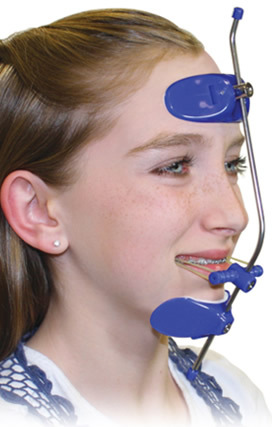 The orthodontic appliance and the patient’s cooperation can also influence the duration of the treatment. It is shorter if the patient wears the removable appliance as instructed by the dentist and comes to the appointments regularly. Treatment with removable appliances usually takes longer, because they are not in the mouth all the time. They must be worn at least 12-14 hours a day, which you can do in the evening and at night. 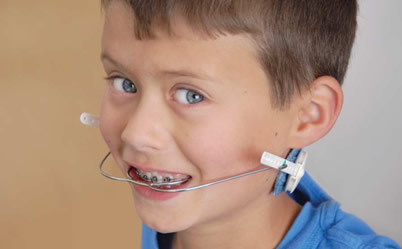 They can be used both on the upper and lower jaw, and there are appliances that attach to both dental arches. Removable appliances are not suitable for treating all orthodontic abnormalities. They are recommended at the age of 10 – 15, after that fixed appliances are used. Palatal expansion is required when the dental arch is too narrow for the teeth and it leads to crowding. The treatment is recommended for children with mixed dentition (milk teeth and permanent teeth in the mouth). The device is a plastic plate with a built-in expansion screw that is used to generate enough force to move the teeth. The treatment may involve removal of some teeth. Your dentist will decide about it only after careful orthodontic diagnosis and a detailed treatment plan. Palatal expansion can be continued when your child has permanent teeth only, in this case a fixed appliance is used. The bands or tubes are fixed around molar teeth. It requires some preparation: your dentist will make room around these anchor teeth by placing special separating rings on them. These rings will widen the gap between the teeth, and within a few days the bands can be bonded on the anchor teeth. The brackets are used to attach the arch wire and distribute the force required to move the teeth. Brackets are made of ceramics, other aesthetic materials, or metal. The arch wire is attached to the brackets with elastic rings. The arch wire is made of various materials, and they are available in various diameter and strength. The arch wire connects the brackets. Your dentist can also recommend mini implants to be used as anchors. The braces are attached to these implants and the teeth are moved towards these implants. After the treatment the implants are removed. Invisible appliances have become widely available in the past ten years. These appliances are attached to the inner side of the teeth making them invisible to the outside world. They are becoming more and more popular. Thanks to the advance of technology, nearly all kinds of orthodontic problems can be treated with invisible appliances. One of them are fixed lingual appliances. There are several types of lingual devices. We apply one of the latest high-quality appliances, called STB. It does not require laboratory preparation which is usually done abroad. We do all laboratory work at the clinic. Regular check-ups are recommended every 4 – 5 week. The other type of invisible appliances are removable devices, which provide great comfort. At the first visit to the clinic we decide if your condition requires orthodontic treatment and discuss your expectations. You are also informed about the treatment options. Then we take X-rays and an impression for a dental cast so that your dentist can have an accurate picture of your teeth, the jaw bone, further development, the available area and the mobility of your teeth. Using these details your dentist can make an accurate treatment plan and choose an appropriate device. You are informed about the expected duration of treatment and the inconveniences caused by wearing the device. If you give your consent to the proposed treatment, we can start it. If you have decayed teeth, we treat them before using the orthodontic appliance. Proper oral hygiene is particularly important when you wear an orthodontic device, because you have a foreign object in your mouth that must be kept clean. Your dentist will explain you the proper usage and maintenance of your orthodontic appliance. Regular check-ups are required to monitor the process. Further X-rays and casts may be necessary. Sometimes it may seem to you that your condition is getting worse, but your dentist will assure you that the outcome will be perfect. As soon as the teeth have reached their proper position in the mouth, the appliance is removed. In order to prevent further drifting of your teeth, you will be given a retainer to wear for some time. You will need more visits to your dentist before the treatment ends. Many people think that orthodontic treatment is only performed in children or young adults, but we can achieve very good results in people over 50 years. WHAT ARE THE REASONS FOR ORTHODONTIC TREATMENT? The size and shape of your teeth are inherited from your parents. A narrow dental arch cannot accommodate bigger teeth. Teeth that do not break through or supernumerary teeth can also cause problems. If the germ of a tooth fails to develop, it will be missing from the dental arch. If it is the wisdom tooth, no treatment is required, but if a canine is missing, orthodontic treatment is recommended. Wisdom teeth are additional teeth, therefore they might not have enough room in the dental arch. When they break through, they may push the teeth forward. Tooth germs can be positioned abnormally and it results in improper tooth position, which also requires orthodontic correction. Many people have a wide gap between the incisors, and it can be a genetic problem. Deep bite is also genetic. It means that the edges of the upper incisors reach at least 3 mms below the edges of the lower incisors. Prognathism and progenism are also hereditary conditions. Prognathism is the protrusion of the upper jaw in relation to the lower jaw, whereas progenism is the extension of the lower jaw. A very small proportion of people (0.01 – 0.02%) develop a cleft lip or palate. They require comprehensive treatment by a team of specialists: an oral surgeon, a dentist, an ENT specialist and a speech therapist. Feeding infants with breast milk contributes to normal development of the jaw bones. The quality and composition of food consumed later in childhood is also important: avoid soft foods, give your child foods that need chewing. Thumb sucking may lead to an open bite, when there is space between the biting surfaces of the front teeth when the back teeth bite together. Using a pillow which is too high or low can cause swallowing problems that may result in dental abnormalities. Difficulty breathing through the nose can also lead to problems that require orthodontic treatment. Loosing milk teeth too early can result in crowding of permanent teeth. The teeth next to the gap try to fill the space and block the way from the erupting tooth. Crowding can be prevented with the use of space maintainers. Boys tend to suffer accidents that can cause injury to their teeth. The resulting deformities can be restored or corrected with orthodontic interventions. Dental abnormalities caused by damage to the baby in the womb or by a condition after birth rarely require orthodontic intervention.